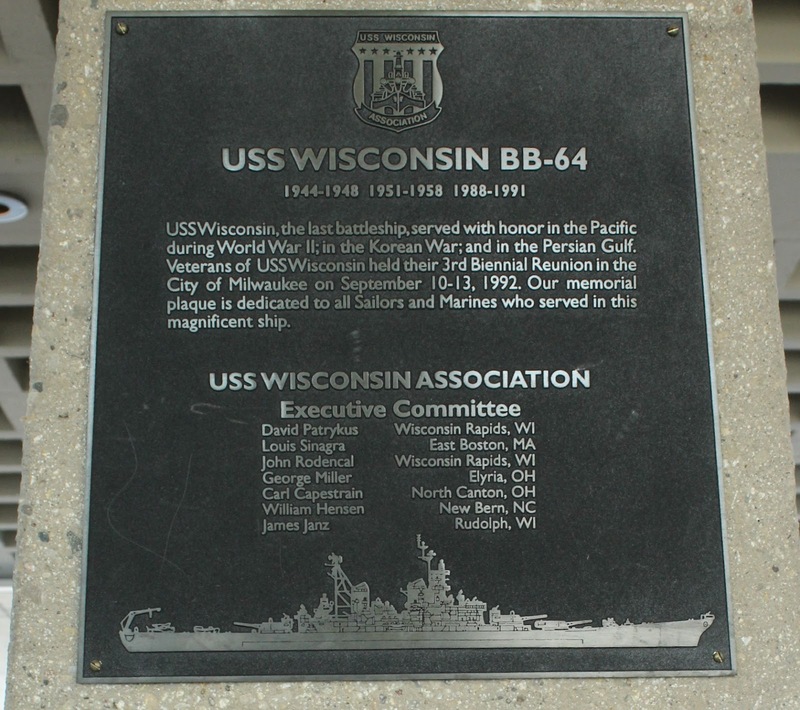 USS Wisconsin, the last battleship, served with honor in the Pacific during World War II; in the Korean War; [sic] in the Korean War; [sic] and in the Persian Gulf. 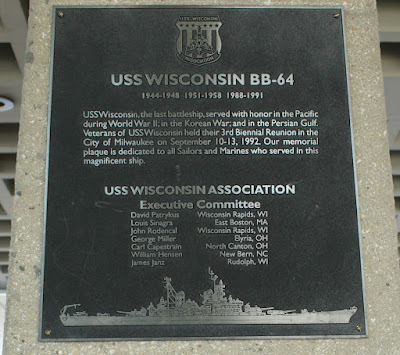 Veterans of the USS Wisconsin held their 3rd Biennial Reunion in the City of Milwaukee on September 10-13, 1992. Our memorial plaque is dedicated to all Sailors and Marines who served in [sic] this magnificent ship.